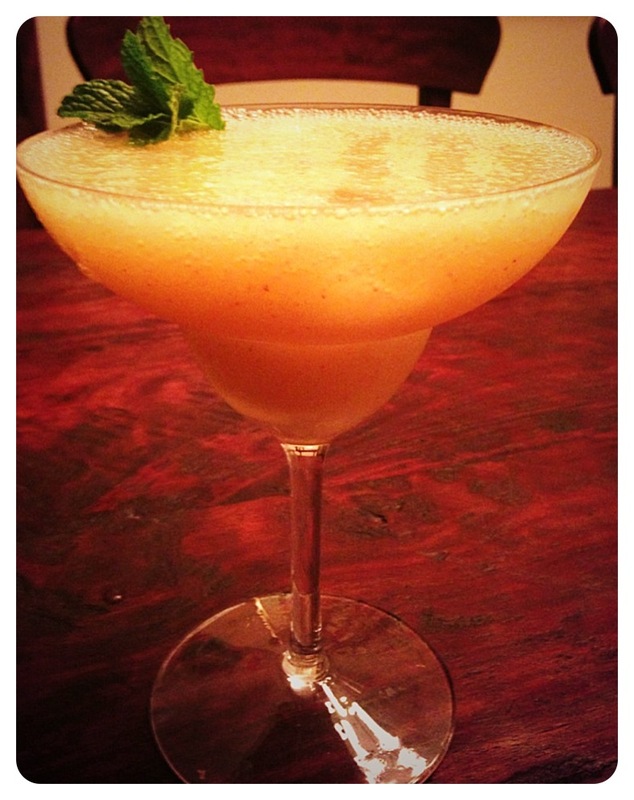 Peach Mint Margarita | Kitchenpants! Let me tell you something about Texas: for as much as people drink around these parts, the procurement of alcohol is a major pain. Yes, we have drive-through beer and wine barns…and Eskimo Huts (drive-through slushy drink shops), BUT it wasn’t until a few years ago in Fort Worth that we could buy wine and beer in the grocery store and we STILL can’t buy liquor anywhere but the liquor store. And the liquor stores? Are naturally located in the most inconvenient corners of city. As such, I don’t get to the liquor store often. But when I do…you get a bunch of drink posts. Yay! I whipped this little concoction together last night. I love a good margarita. And by “good”, I mean a margarita made with premium spirits and fresh juice – not that sugary mix that burns the throat. This version is pure and natural. This recipe makes one drink. Multiply as needed. 2 oz. Tequila – I strongly recommend Silver Patron. Don’t go using all the fresh fruit and mint and then junk up the drink with tequila from a plastic bottle. YUCK! Peel and slice the peach. Discard the pit. Toss the peach, peach preserves, mint, tequila, and ice into the blender. Start with ¾ cups of ice. Check the taste and consistency. Add more ice if needed. Serve with fresh mint as a garnish.